It probably wasn’t hard to feel the excitement behind the words of my last post on Bicester Village. One friend’s favourite-ever quote from this blog says it all: “I am at heart a cheap man.” (From a post last year on buying luxury – specifically, very versatile Hermes ties.) The prices and luxury menswear on offer got my heart pounding, as they did many of you given the comments I have had. Ever since I have been trying to think of an excuse to go back, and last week I found one. The good people at Chic Outlet Shopping, of which Bicester is part, invited me to a Blogger’s Day – essentially an excuse for them to tell us bloggers about the Village, what makes it so unique, and give us a discount card to get some Christmas presents. Not a bad deal. Of the 20 or so bloggers there, four were men – and the others seemed to be tacked onto other groups rather than being individual bloggers. The female bloggers were American and Chinese, as well as British, and varied from solo writers to managers of transatlantic teams. All a little humbling: I do hope menswear catches up soon. I learnt a little about why Bicester is so good for up-market menswear shopping. Although Ralph Lauren has many outlets around the country (and makes more money from them than its normal stores, according to one blogger), Bicester is the only RL outlet to get Purple Label. There was a beautiful double-breasted, shawl-collar tux from Purple Label, in the Custom Fit, which is a lot narrower and seems to fit me very well. Reduced from £2200 to £440. But I resisted – I have one set of black tie already and little need for another, given that I wear it four times a year. Plus I swore to myself to only buy bespoke jackets from now on. 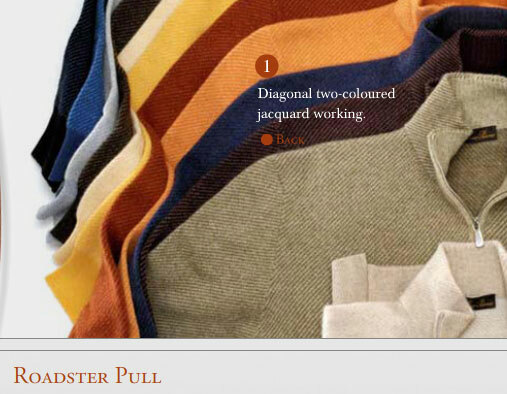 Loro Piana only has two outlets in the world, one in Bicester and one in Italy. So valued is the outlet here that celebrities have been known to land by helicopter in the nearby field and make a beeline straight for the store. And the staff manages a very detailed customer register that allows you to request updates when particular items come in, and even order in advance. So how did I fare? Pretty well. An Alfred Dunhill doctor’s bag from the traditional English range (all 100% handmade, in London) a ‘Roadster’ cashmere sweater from Loro Piana and a ‘Horsey’ coat from the same store – the model made for the Italian horseriding team at the Barcelona Olympics and featuring LP’s famous Storm System. One more trip before Christmas would be excessive, right? You can follow the discussion on Back to Bicester Village by entering your email address in the box below. You will then receive an email every time a new comment is added. These will also contain a link to a page where you can stop the alerts, and remove all of your related data from the site. My apologies Bryan, I was misinformed. I presume they meant Europe in that case. If I had more money, I’d go back and get the RL one as well. where are all the R.L outlets in UK? I have had clarification from Bicester. There is one other Loro Piana outlet in Europe – La Vallee Village, the Chic Outlet Shopping® Village just outside Paris. You get the train from London’s Marylebone, takes just under an hour. And there are many RL outlets all over the UK, I’m afraid I don’t know them all. But the Bicester one is the only one that really impressed me.